The Adelaide Sustainable Building Network is greatly appreciative of the support from our sponsors. Are you interested in becoming a sponsor? Contact us for package details. At SUHO we pride ourselves in our ability to guide clients through the complex field of energy compliance regulations and sustainable solutions. Operating for 15 years in the residential and commercial building industries across Australia, our comprehensive suite of services include design, ESD consultancy, energy efficiency assessments, thermal modelling and air infiltration testing. 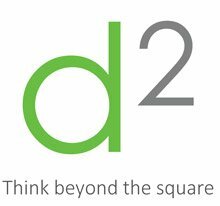 dsquared Consulting delivers innovative & independent sustainable solutions in the built environment. We provide Environmentally Sustainable Design (ESD) and Sustainability advice from the earliest stages of project master planning, through building design, construction and functionality. We are Australian leaders in the management and delivery of Green Star projects. We are experts in LEED, the Living Building Challenge, WELL Building and other sustainability tools for the built environment. The Adelaide and Mount Lofty Natural Resources Management Board vision for Adelaide is a resilient city that nurtures nature and people. They work with the community to ensure the rights and wellbeing of future generations through a healthy living landscape. There are many projects they support across the region from the coast to the hills, and anyone can get involved! GOODHOUSE is committed to providing you with the optimal sustainable design for your site and budget. Our highly systemised approach to design and construction management means that our beautiful, architecturally designed, low energy homes become an affordable option. We provide an architectural solution to sustainable design and construction in SA, making high performance homes attractive and accessible to a wider public. 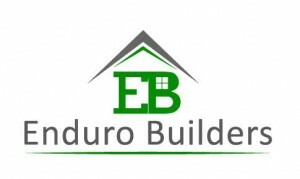 Enduro Builders are Adelaide Hills Energy Efficient Home Specialists. Our skill and experience are in building individual lifestyle homes. We build architect designed, energy efficient homes, customised to your needs by working collaboratively with you to ensure your project exceeds your expectations finishing on time and on budget. Aztec Developments are family owned and run builders. Established in 1985, our years of experience and commitment have earned us a great reputation, which we believe sets a high benchmark for other Adelaide Hills builders. Seeing a need for change in South Australian housing we were on the lookout for a new direction… the answer; Energy efficient, airtight, sustainable housing. Emerald Custom Homes builds High Quality, Energy Efficient homes using European Building methods and materials. Focusing on insulating & sealing the outer layer of the building we provide an architectural home that is warm in winter, cool in summer and slashes your energy consumption. Whistling Kite Wines was founded in order to demonstrate the outstanding results possible through biodynamic farming practices and to demonstrate that through careful variety selection and sustainable farming practices, the Riverland is capable of producing wines of exceptional quality. Hand picked and basket pressed, all Whistling Kite Biodynamic Wines are made with care and attention… your wine drinking pleasure is our pleasure. Renewal SA provides an integrated approach to urban development on behalf of the government of South Australia. Through new ways of delivering urban revitalisation, we help create innovative places where people want to live, work and play. Our communities accept only the highest standards of design and planning which ensures they are inclusive, connected and sustainable. We are a team of architects in Adelaide dedicated to achieving optimal outcomes for our clients and the environment. 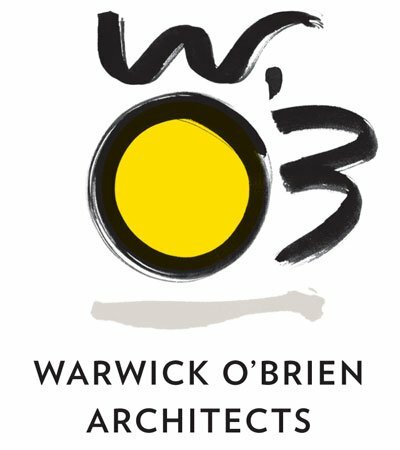 Warwick O’Brien Architects works to protect the environment and the global population through sustainable architecture, offering a vast array of architectural services encompassing new, alteration and addition projects. Ametalin is a manufacturer and supplier of building membranes, thermal foam insulation, wall wraps, sarking and reflective insulation products. Our products are primarily of interest to architects, building designers and specifiers, for use in residential, commercial and industrial buildings to provide increased thermal comfort year-round while saving energy and reducing heating/cooling costs. Endemic Environments is highly dedicated to sustainability and providing environmental solutions to landscape design & construction. A balance of creativity, sustainability, environmental awareness & skilled workmanship drive our design, planning & construction delivery. Off-Grid Energy Australia is a nationally accredited designer and installer of energy storage solutions for residential and commercial applications. We combine solar panels, wind turbines, fuel generators and battery storage technology to independently power a range of applications with dependable, clean and cost effective electricity. TAFE SA Tonsley Campus is the training centre in South Australia for all Building training. Certificate II through to Diploma level, all trades through to building design. Many of our Building qualifications have a green focus with concentration on training such as renewables, passive design, waste management, nature, community, efficiency of design and comfort of building use. Interested in becoming a sponsor of the AdelaideSBN? Get in touch to discuss your options.